Hoover the Mover takes great pride in being an active member of the Fort Wayne Community. 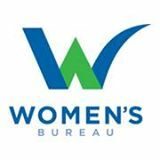 Below are several organizations and events that enable us to give back. Please join us in our efforts, as it does not go unnoticed. Our movers will pick up your unwanted, non-perishable food items and deliver them to Community Harvest Food Bank. All non-perishable food items collected go directly to the Community Harvest Food Bank serving families in NE Indiana. Hoover the Mover is teamed up with Fort Wayne’s, Habitat for Humanity ReStore. We can deliver your surplus building materials, unwanted appliances and furniture to the ReStore. There they are sold to fund future Habitat for Humanity homes in our community. 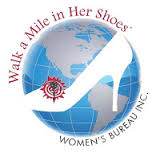 Proud participant in the “Walk A Mile In Her Shoes” events as well as the “Dress For Success” yearly fund raiser. Each year our movers deliver hundreds of pairs of high heel shoes and participate in the Walk a Mile In Her Shoes fundraiser.